Anonymous Makes 9,000 ISIS-Linked Twitter Accounts Public "To Hold Twitter Accountable"
Vigilante hacking group Anonymous has had its sights on the Islamic State of Iraq and Syria for quite some time, and it looks like the organization's work has finally paid off. On Monday, Anonymous posted a list of ISIS-linked Twitter accounts as a way to pressure the social media platform into banning these presumed terrorist users for good. It's the latest development in the hacking group's self-declared "war" on jihadist websites and accounts. The Independent reports that Anonymous tracked more than 9,000 Twitter accounts that appear to be associated with ISIS militants. The full list of names can be found here. Two other hacktivist groups, GhostSec and Ctrlsec, helped Anonymous identify and gather the accounts. Some of the Twitter accounts have already been suspended or deleted, but many remain active and verified. 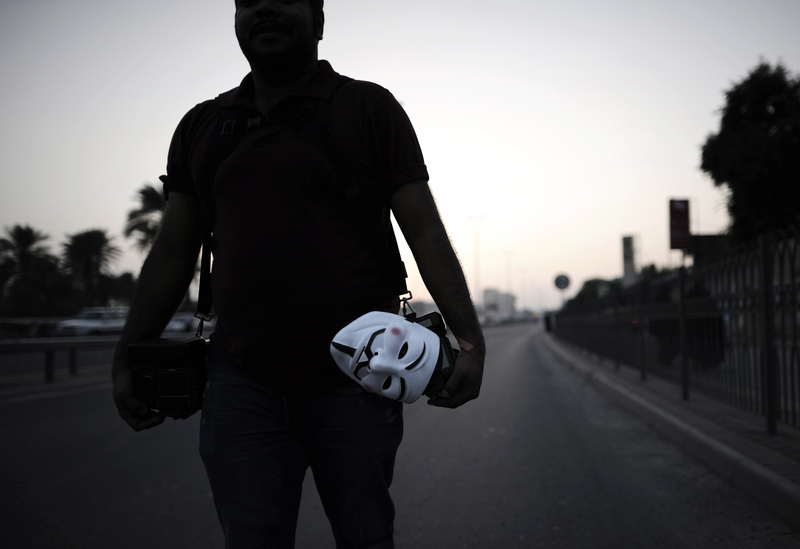 Now, Anonymous and its fellow colleagues want Twitter to make a move. "We’re releasing [the list] to hold Twitter accountable," the groups wrote in a joint Medium post published on Monday. "I encourage you all to do your duty not only as a citizen of the world but also as a member of the internet community and re-post this on social media." The more attention it gets the more likely it becomes Twitter takes action in removing these accounts and making a serious impact on the ability of ISIS to spread propaganda and recruit new members. You don’t have to be tech savvy to contribute, simply clicking retweet or like could mean the difference between almost 10 thousand active accounts or 10 thousand suspended ones. Help us fight! A member of Anonymous told International Business Times that this release was "historic" in the hacking world. "[I]t's the first time these groups have come together for something this large," the unnamed Anonymous member said. "Usually they are very closed off ... but this has become so large of a problem they're willing to form an alliance for what is seen as a greater good." Following the attack on the offices of French weekly Charlie Hebdo, Anonymous declared "war" against ISIS militants and their followers in a video message uploaded by the group's Belgian account (the video was also in French). "We will avenge their deaths," the Anonymous member says in the video. "We will close your accounts on all social media networks." In an accompanying written message, the Belgian Anonymous group added that it would defend freedom and speech and liberty in the face of the "inhuman assault" on Charlie Hebdo.